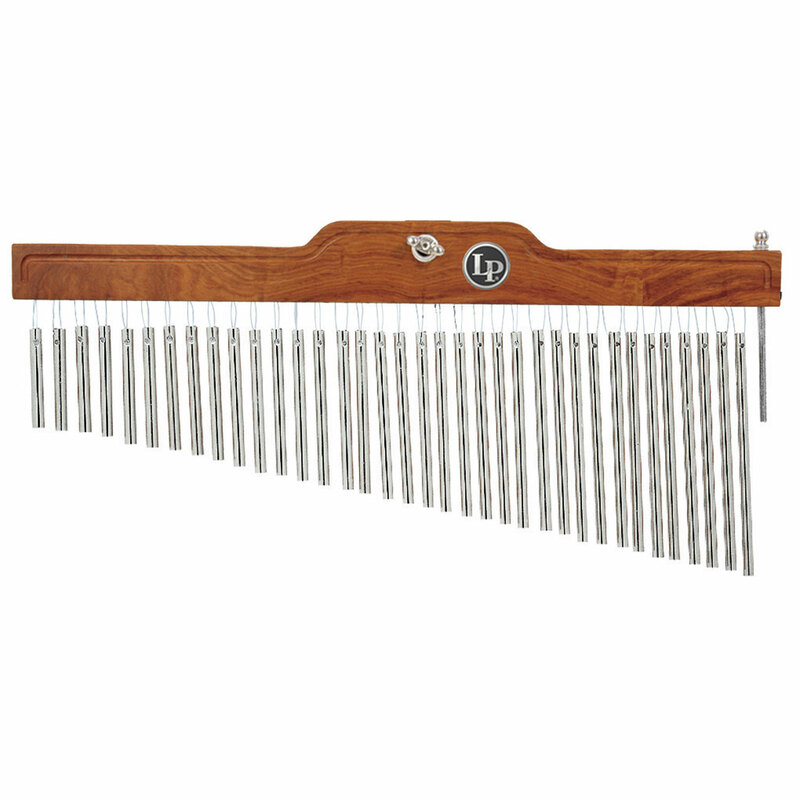 The Latin Percussion 36-bar Single Row Studio Series Bar Chimes are designed for virtually any musical setting and are crafted from a specially formulated tempered aluminum alloy to provide bright sound and great tonal diversity. The natural wood support bars are made from select hardwood with a satin finish. LP Studio Series Bar Chimes are equipped with an exclusive "anti-twist" bracket that is mounted at the balance point of each bar to prevent movement. They are great for studio use or where shorter sustain and added control are desired. 3/8" diameter aluminum alloy chimes are strung with high tensile braided cord for strength. The bar chime striker fits conveniently into a storage slot in the included top wooden bar.